God Bless Our Farm! 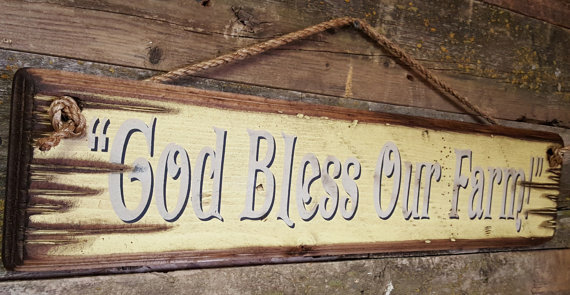 This rustic sign would look good hanging in an entry way, kitchen or living area. May God's blessings be on your farm! This light yellow background sign measures 5.5x26 and comes with the grass rope hanger for easy hanging. Handcrafted with pride!